Immediately following the collapse of the World Trade Center towers, there was an extensive search to rescue any surviving victims. On September 13, 2001, one of the construction workers, Frank Silecchia, was searching in the debris under 6 World Trade Center. He has said that he had been having a silent conversation with God, in despair at the wreckage. He felt lost in his heart, mind, and every other way. In the tangled mess of destruction, there were no longer any straight lines, no reference points. Saturday, September 10th at 11:30am, Holy Rosary Church will offer a Requiem Mass in memory of those killed ten years earlier. The mass will be sung by Cantores Sancti Rosarii, directed by Harold Bott. This is a moving and ethereal treatment of the Mass for the Dead. Cristobal de Morales' music is typical of the polyphony of the middle Renaissance, and the Requiem is a simple, contemplative presentation of the funeral mass. The central theme of the service is in the Requiem text: "Grant them eternal rest, O Lord, and let light perpetual shine on them." 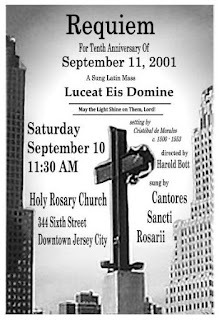 Holy Rosary Church is at 344 6th St (between Brunswick and Monmouth Streets) in downtown Jersey City (FLYER). Great God, as tumults rage, grant us the impetuous faith to throw ourselves into a disorderly world, that we may find you there. 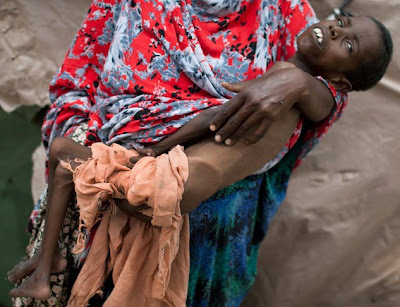 Grant us the power to bring calm to those in trouble, hope to those in peril, healing to any who are broken, and bread to the hungry, in Jesus name. Amen. Matthew 14:22-33, with thanks to Matthew Skinner for a great idea and some good language. 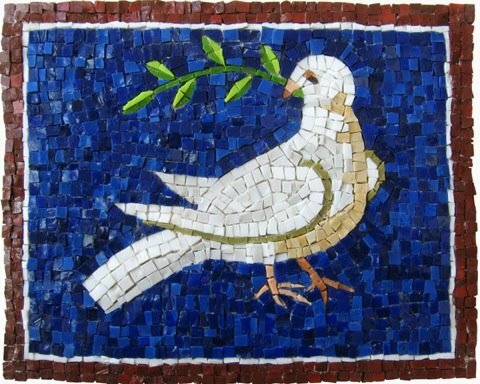 In the gospels we hear again and again how Jesus loved to break bread with others. He repeatedly sent his disciples out to see that people were fed, even when it seemed impossible (Matthew 14:13-21). Telling about our churches' food pantries or tallying up our hours at the local soup kitchen doesn't feed anyone. When we have more than we need, there is room to share more. At a time when our government is heading in the wrong economic direction and when Congressional leaders are out-doing each another in doing less for those in need, Jesus asks “do you love me”? If we do, we will feed his people. (You can look it up: John 21:15-19). 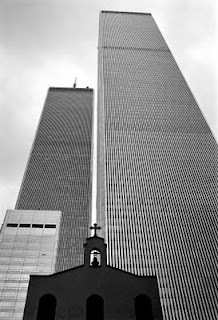 Some of the best resources I've found for presenting and interpreting 9/11. City in the Sky: The Rise and Fall of the World Trade Center. James Glanz and Eric Lipton, Times Books, 2003. The best, most comprehensive telling of the World Trade Center’s history, from its conception and construction to its destruction and beyond. 102 Minutes: The Untold Story of the Fight to Survive Inside the Twin Towers. Jim Dwyer and Kevin Flynn, Times Books, 2005. Stories from inside the towers on 9/11. Good architectural diagrams of the buildings’ structure, and discussion of the design decisions which had an impact on survival. Messages: Signs, Visits, and Premonitions from Loved Ones Lost on 9/11. Bonnie McEneaney, William Morrow, 2010. In a different vein, tells stories of peoples’ after-death experiences with 9/11 victims. Well done and respectful of both belief and skepticism in the afterlife. I’ll be preaching this September 11th, the tenth anniversary of the Al-Qaeda attack on the World Trade Center and Washington DC. 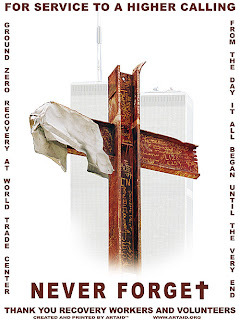 I have been involved in the recovery work from those attacks since that date, working as a chaplain in the World Trade Center recovery, and more recently guiding tours of the World Trade Center site for the Tribute Center. This means that I know a lot about those events. They have been part of my life. They deeply affected me and many people I know. It also means I feel the need to do some extra work to think this one through, to put my feelings and experience in service of proclaiming good news. Beginning that work, there are a couple of thoughts that may be helpful to other preachers and speakers who will grapple with what to say.